very similar to our 2nd date!! in a bowl, sprinkle gelatin over 1/3 cup of water. ignore for 5 minutes, let the gelatin soften. in saucepan, combine syrup with sugar, stir over medium heat until sugar has dissolved. add in the applesauce and lychee bits, and red jam if using, and mix until well combined. add in the gelatin mixture and bring to a boil. at this point you can vitamix it smooth, or keep the chunks if you want. pour mixture into prepared baking pan, allow to cool to room temp and then transfer to fridge until firm, 3 hours. cut into squares, or if you’re being cutesy, use 1/2″ cookie cutters. i had dw fashion small hearts for me made out of strips of aluminum from a soda can, like when i made goldfish crackers. dredge in some sugar to coat. BAM. Oh It sounds like a good trip coming up! ha! yes, he is very good! We’re so on the same page today and I LOVE IT! These jelly hearts are too adorable, Lan. Hope you and morestomach have a lovely day today ❤ You two inspire me. 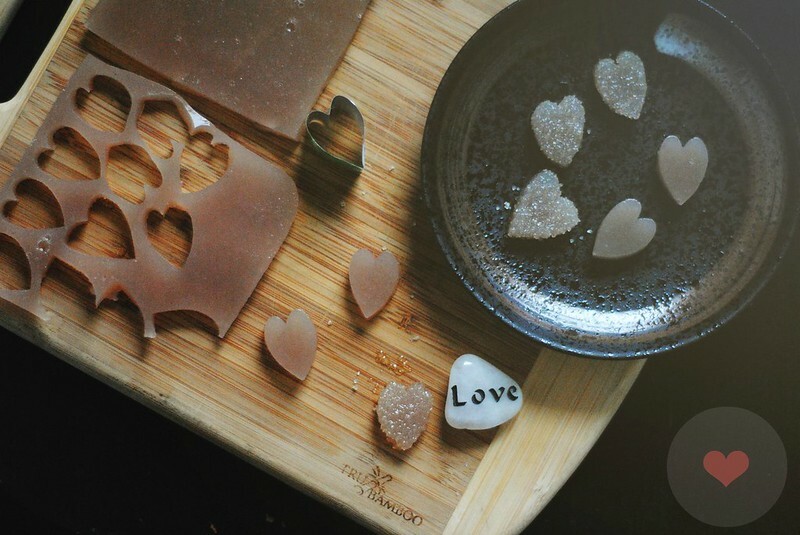 The jelly hearts are so cute! Thanks for sharing. How did it taste?? I love lychee! i asked dw what it tasted like: it definitely does have a strong lychee taste to it. when i told him the ingredients he said that upon further reflection, there is definitely the apple sauce factor in there, as is the lemon & cherry flavors. they complement the lychee flavor but they do have their distinct touches. These are the prettiest hearts! 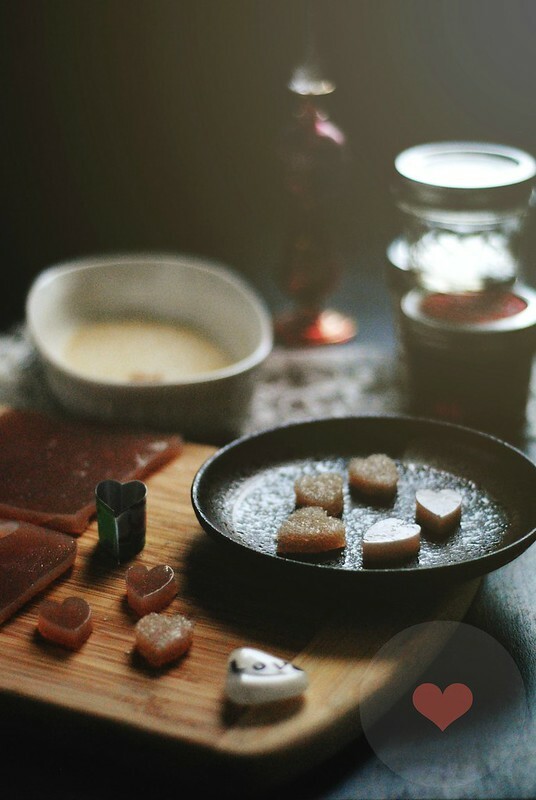 Your Vday tribute/snack for DW is soooo cute! I’m so excited for you guys to take your trip, see the elephants, and eat khao man gai! 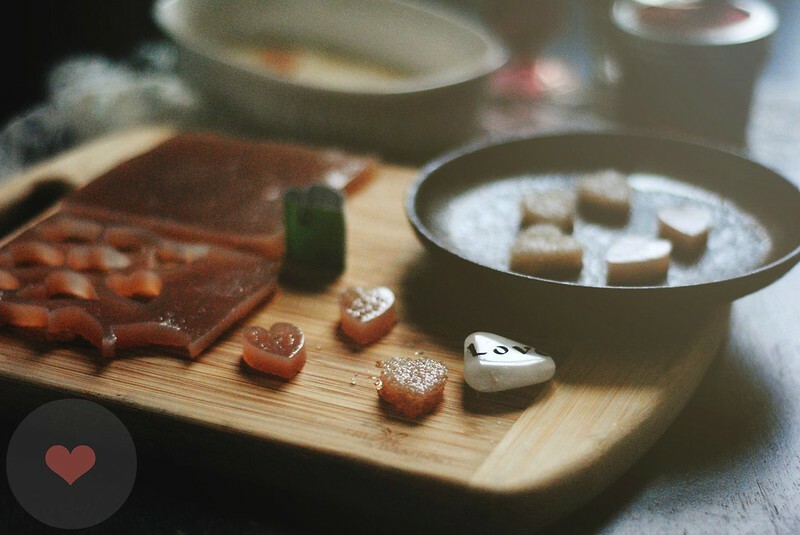 Like envious, not jelly like these delcious-sounding candies! Lan, I know this is a little late, but I’m glad you & dw had a nice valentine’s. I loved reading your ramblings about him and how much you love him – it’s hopeful and wonderful at the same time! 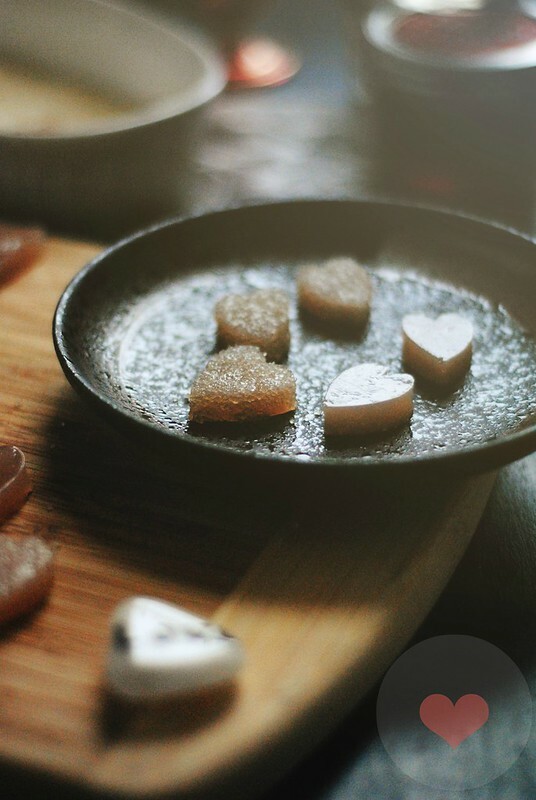 These lychee hearts are incredible cute, and what a fantastic idea to transform boring jelly into pretty snacks! Sending love!